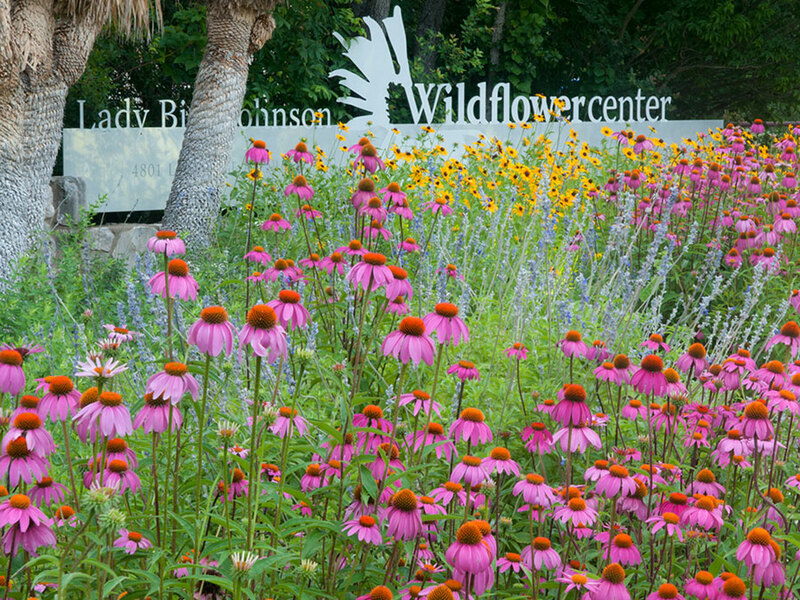 AUSTIN, Texas-The Meadows Foundation of Dallas has awarded the Lady Bird Johnson Wildflower Center of The University of Texas at Austin a $262,000 grant to aid its effort to create standards for sustainable landscapes in partnership with the American Society of Landscape Architects and the U.S. Botanic Garden, both of Washington, D.C.
At a time when concern about climate change and resource conservation is growing, there are no standards for large-scale landscapes similar to the green building standards that have successfully motivated many builders to reduce energy consumption and environmental damage. The Sustainable Sites Initiative will identify “best practices” and goals that will guide developers and landscapers to improved environmental performance. Such large-scale landscapes as corporate and college campuses, parks, open spaces and roadsides are often major consumers of resources such as water, chemicals and labor and large-scale generators of waste and pollution. Turf grasses used on residential and commercial lawns, golf courses and other landscapes are the single largest irrigated crop in the U.S. in terms of surface area. On average, U.S. citizens use 200 gallons of water per person per day to maintain their lawns. A study by the National Research Academy of Sciences found that suburban lawns and gardens receive more pesticide per acre-an average of 3.3 lbs-than agricultural lands, which receive an average 2.7 lbs per acre. Exotic invasive species, many of which escape from planned landscapes, threaten biodiversity and habitats. Damage from invasives is estimated at $38 billion annually in the U.S.
Landscapes are a major generator of solid waste. In Texas, for example, yard waste takes up as much as 18 percent of landfill space. Lawn mowers, leaf blowers and other gas powered maintenance tools contribute more than 5 percent of total U.S. air pollution. Working with a diverse group of environmental organizations and stakeholders, the initiative will create guidance and incentives for project managers to conserve water, manage storm water runoff, protect biodiversity, reduce pollution and generally become better stewards of scarce resources. The new standards would include guidelines and suggestions for reducing the adverse impacts of conventional landscaping. For example, applying compost to turf grasses can decrease chemical fertilizer requirements by up to 50 percent and reduce the demand for water. 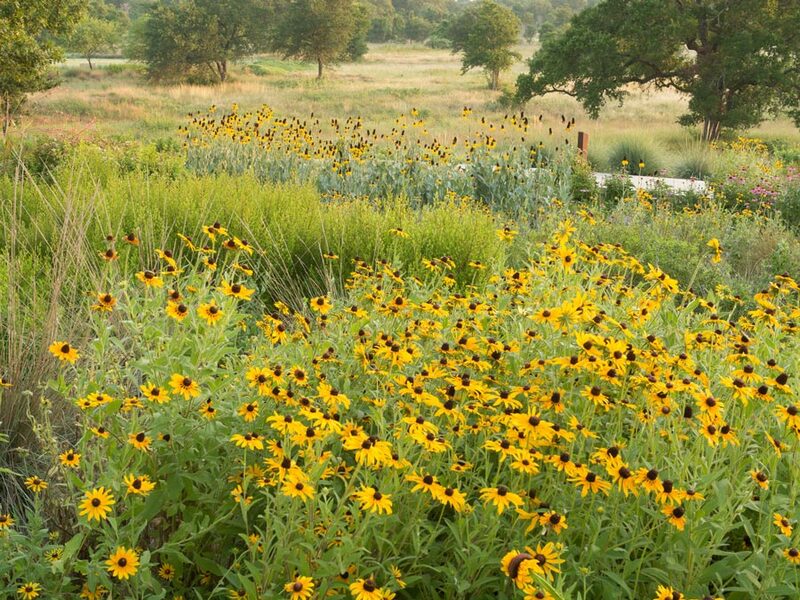 Planting wildflowers and native species protect regional biodiversity. Efficient irrigation and plants selected for the region conserve water. Ultimately, the landscape sustainability standards could be integrated into existing rating systems, such as the Leadership in Energy and Environmental Design (LEED) Green Building Rating System established by the U.S. Green Building Council. They may also act as a stand-alone tool for assessing site performance.